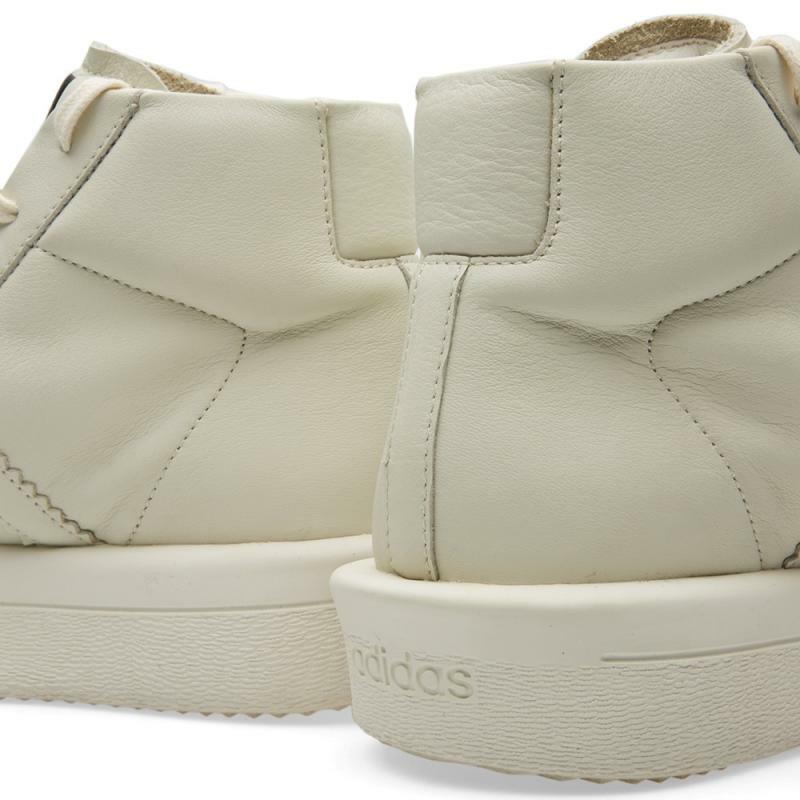 The latest from Rick Owens and adidas. 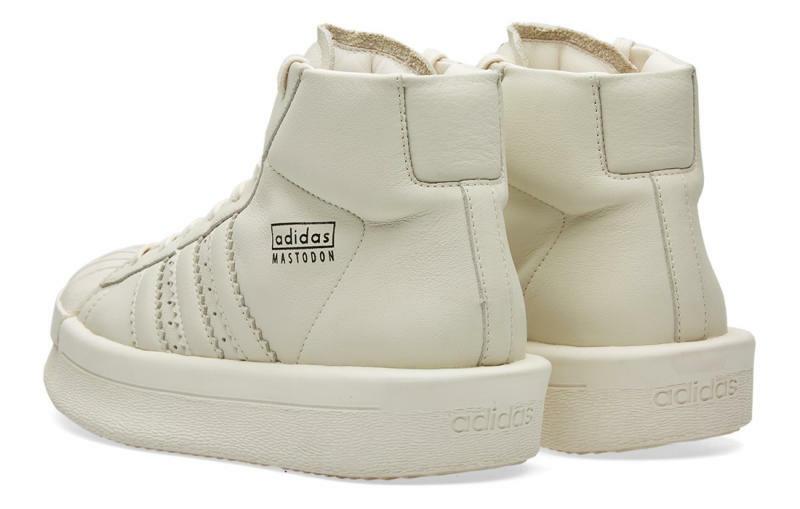 Fashion designer Rick Owens is back with adidas, once again pushing the limits of what the brand is willing to charge for footwear with his wild creations. 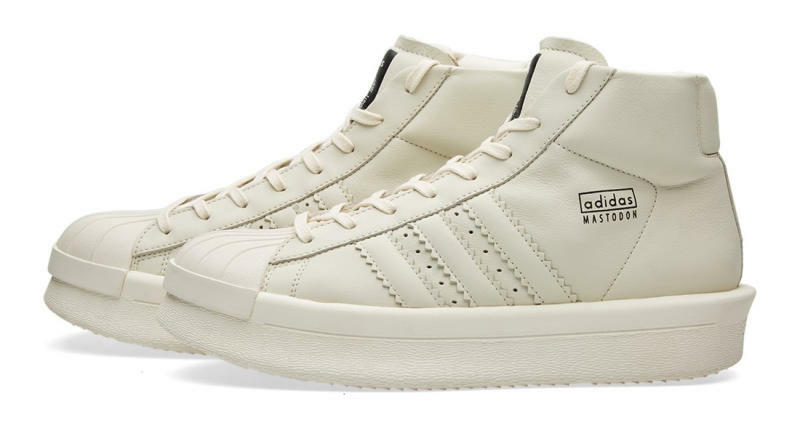 His latest, the Rick Owens x adidas Mastodon, is up for grabs for a whopping $619. The shoes come in a milky white and a silhouette not unlike the adidas Pro Model. The design isn't as daring as some of Owens' stuff for adidas, but does feature a chunky choice of rippled sole on the bottom. Anyone who is willing to pay this much can find this sneaker now at End Clothing. 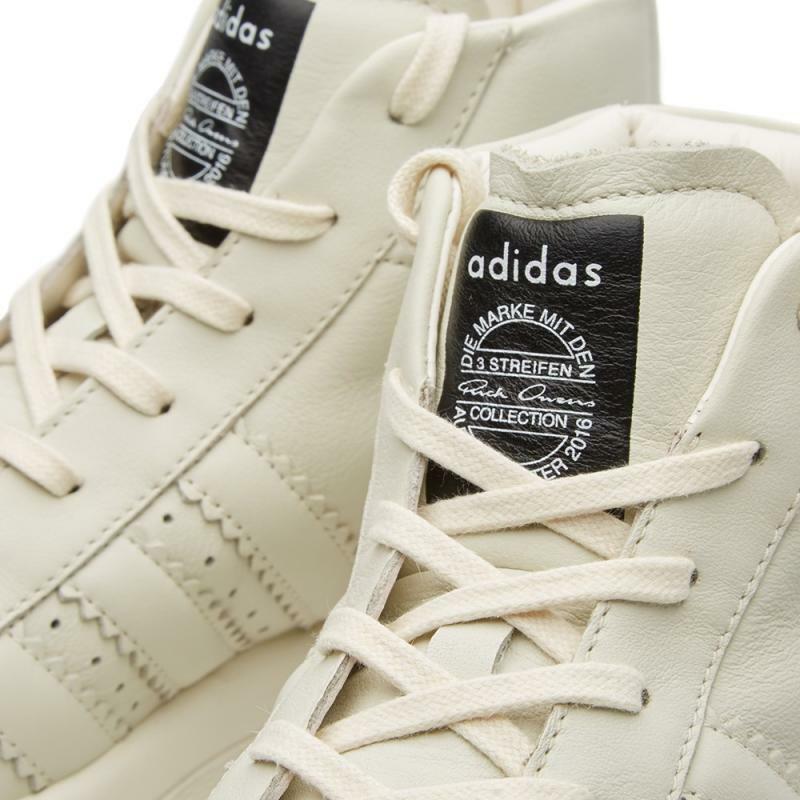 Or, they can wait till pairs go on sale, which is a likelihood given sales trends for the Owens x adidas stuff.